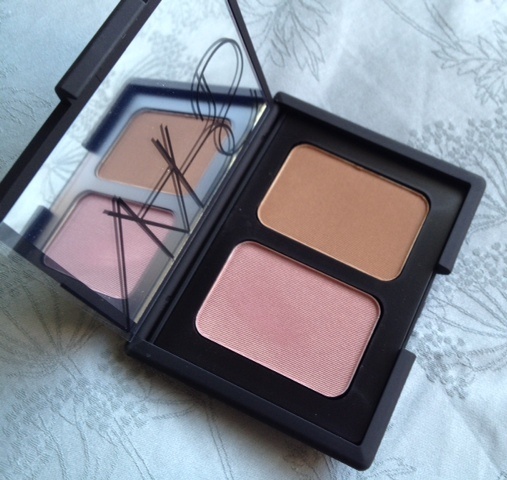 NARS Blushers in Sin – This was one of my products from my “Lust List – Autumn/Winter” post back in November last year and I decided to order it when I needed a couple of NARS foundations for my kit. 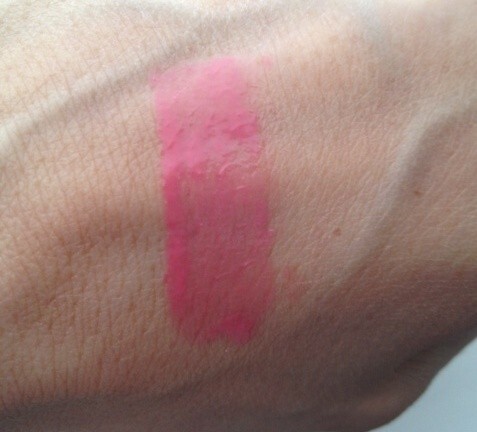 It’s actually part of a Duo Blusher set which comes with a bronzer in Casino, which is a very similar shade to Laguna. 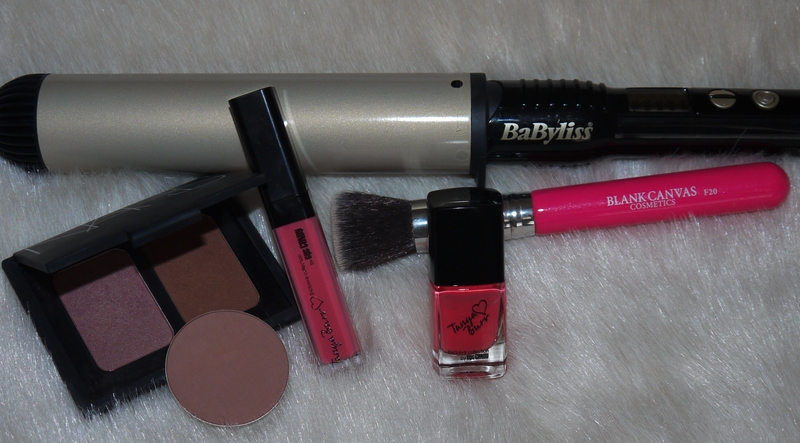 This was ideal for me as I wanted both products and was cheaper than buying both separately. Sin is a really pretty berry/purple colour with a slight golden shimmer through it and it’s a really nice alternative to all my normal pink or peach blushes. Casino is a nice dark brown, again with a slight golden shimmer through it. Tanya Burr Lip Gloss in ‘Picnic in the Park’ – In March, I treated myself to an online spree and top of my list were some of the items from the Tanya Burr range of lip glosses and nail polishes. I was tempted to purchase the whole lot, but managed to hold myself back and bought First Date, Afternoon Tea, Just Peachy, Champagne Toast and Picnic in the Park. The latter I thought would be my least favourite out of all of them, simply because it’s quite a bright pink colour which doesn’t normally suit me. But I absolutely love it. These lip glosses are super pigmented and are almost a lip stick and gloss in one. You certainly wouldn’t need a lipstick underneath them. When they are first put on, I find them a bit too much, but it’s as if they then calm down a little and settle into the skin. 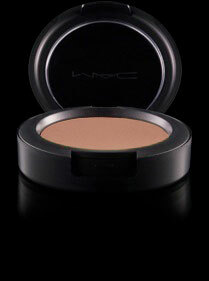 The applicator makes it super easy to apply and the lasting power is amazing. Compared to my MAC glosses they definitely last longer. Tanya Burr Nail Polish in ‘Bright & Early’ – As part of the spree I did online I bought four nail polishes from the Tanya Burr range; Bright & Early, Peaches & Cream, Little Duck and Mini Marshmallows. I have been looking for a spring coral colour for a while and ‘Bright & Early’ is the perfect one. As the name suggests, it is quite bright and perfect for Spring/Summer as we all know by now, corals and oranges are always on trend for this time of year. The quality of these products, as with the lip glosses is very good. The brush does carry a lot of product and I don’t think it’s as good as the brushes that you get with the Rimmel nail polishes, but that aside they are lovely polishes. The range of colours is excellent, with 10 different shades there is definitely a polish for every mood. MAC Harmony Blush – I have fallen back in love with this product. Having started using so many other products for contouring such as NARS Laguna, Sleek Contouring Face Kit and Soleil Tan de Chanel, this has been slightly neglected in my kit and I’d forgotten how good it is. But it has now become a regular product and I quite often like to layer it on top of the Soleil Tan de Chanel for a lasting effect for bridal work. HD Brows – Chez Elaine (www.chezelaine.com) – We all know that brows are still a big thing, and it looks like that’s not going to change anytime soon. I’ve been going to Chez Elaine in Galway for the last 12 months to grow and re-shape mine and am really happy with them. Elaine Barrett is an absolute expert in HD Brows and even has a whole room dedicated to it in her new gorgeous salon in Galway. She has also been featured on TV3’s Exposé talking about HD Brows. Elaine knows exactly what suits each face shape and how to create the perfect brow. 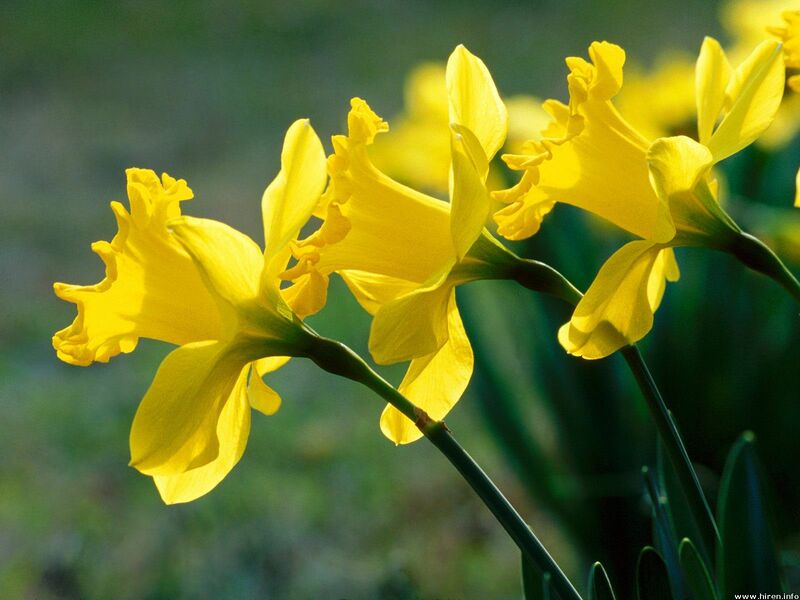 Initially she advised me to use a serum to grow mine, before starting the HD treatment and I’m delighted with the results so far….they are not quite 100% perfect yet, as I still need to grow them a little more in places, but they are still well on their way to being fab. Blank Canvas Cosmetics F20 Flat Buffer Brush – I recently bought a few brushes from Blank Canvas as was keen to try them out as they have been getting rave reviews in the blogging sphere. And the positive reviews are totally deserved! They are fantastic brushes at very reasonable prices. So far, out of the 5 that I bought, I haven’t had any problems with them shedding or leaving hairs on the face etc. I use the F20 brush for applying my liquid foundation which has short, dense synthetic fibres that are really soft on the face and it really does leave a flawless finish to the face. I find that I don’t need as much foundation as with other brushes, which is always a bonus. Foundation is probably the thing I spend the most time on, to really buff it into the skin, and I find that this brush is excellent. I will definitely be buying a couple of these for my kit. Babyliss Boutique Soft Waves – As someone that cannot do anything with her hair, this product has been a revolution for me! If you just want a really easy and fairly quick jazz up of the hair, then this is the product. The barrel is quite thick and so it’s great for any of you gals that are blessed with thick, long hair. There are various different heat settings and it even comes with a glove you can wear so as not to burn yourself. As the name suggests, it gives a soft loose wave and with a simple run of the fingers through your hair, you’re done. So have you been loving any particular products this month? If so, what?